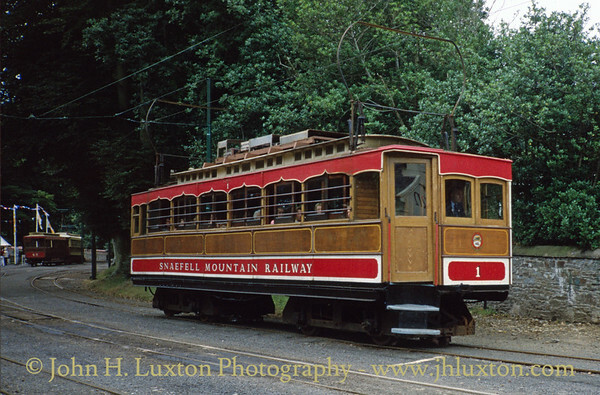 Car 1 at Laxey station on the day of your web master's first trip on the Snaefell Mountain Railway. 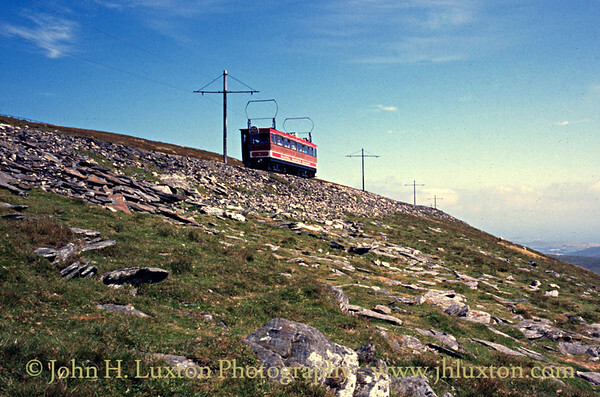 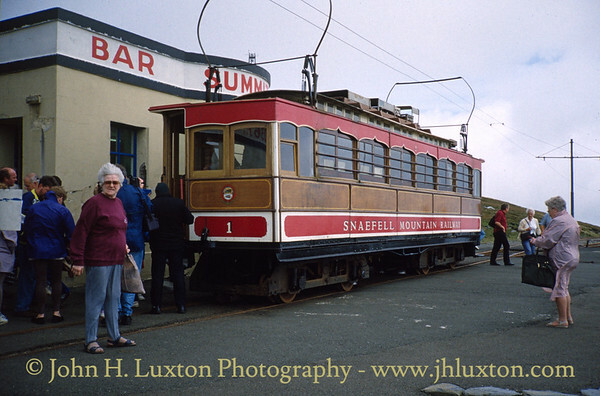 Car 1 at Snaefell summit after arrival from Laxey. 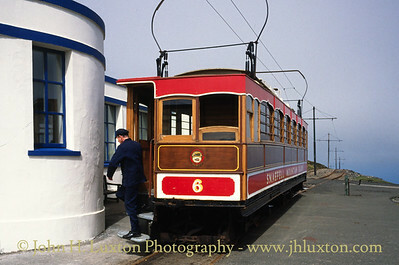 Car 5 at Laxey Station after arrival from Snaefell summit. 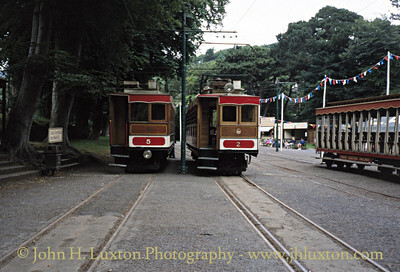 Cars 2 and 5 at Laxey Station. 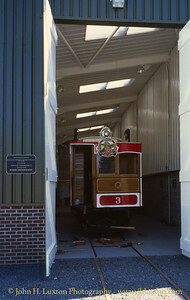 Car 5 has sliding ventilators evidence of her rebuilding following a fire. 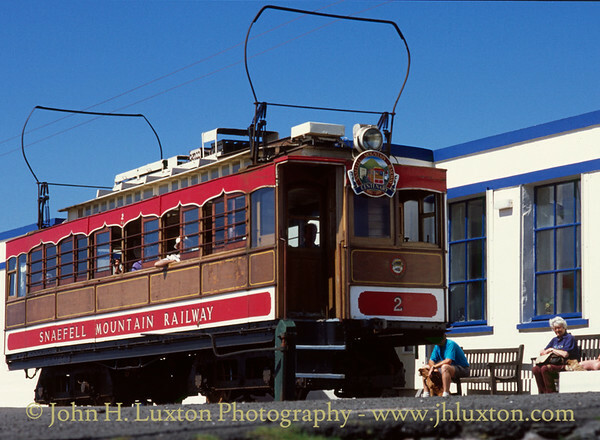 Cars 2 and 5 at Laxey Station. 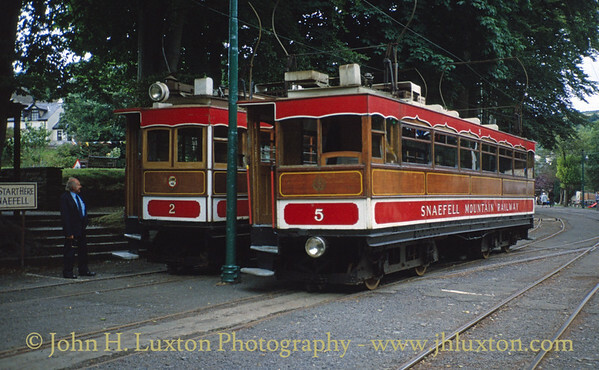 Car 2 stands on the mixed gauge line used when transferring Snaefell cars to 3ft gauge bogies to enable them to be taken to the MER depot at Derby Castle for overhaul. 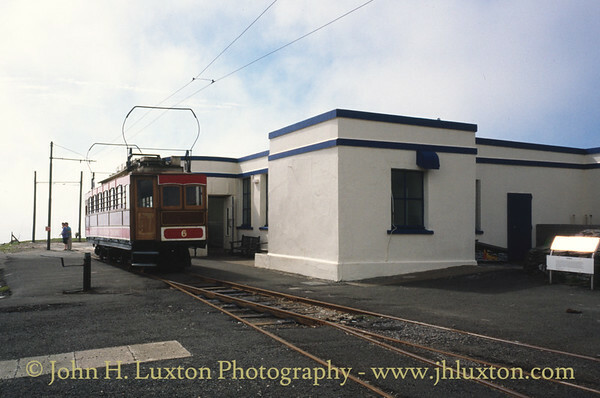 Snaefell Mountain Railway depot at Laxey. 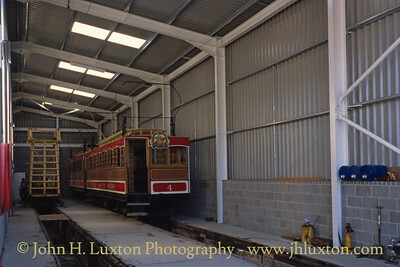 Car 3 in the Snaefell Mountain Railway depot at Laxey. 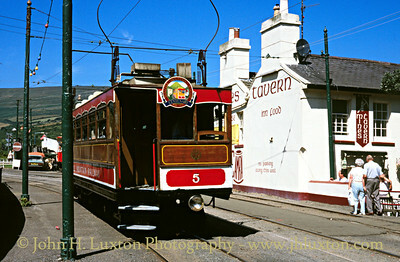 Car 5 passes the Mines Tavern as it runs into Laxey Station. 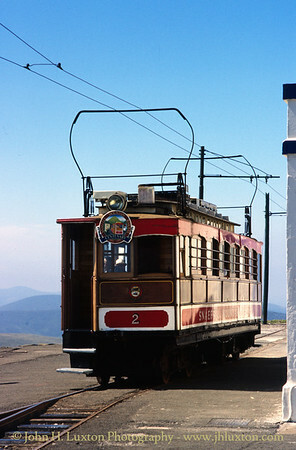 Car 2 rests outside Snaefell Summit Hotel after another ascent from Laxey. 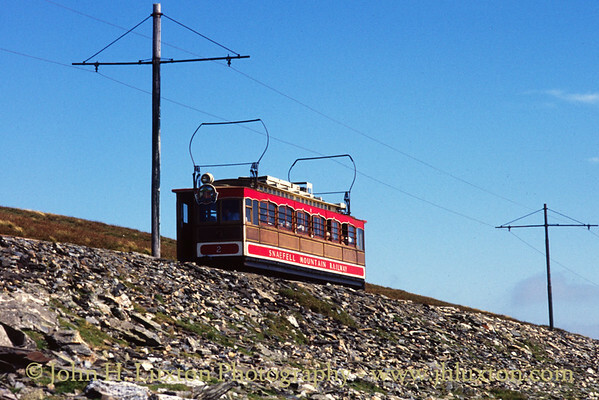 Car 5 approaches the summit. 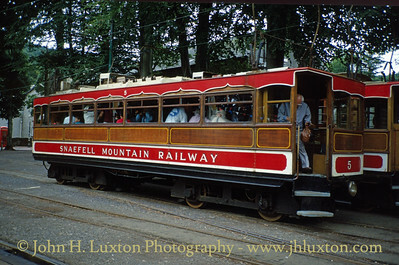 Car 2 heads off down the mountain bound for Laxey. 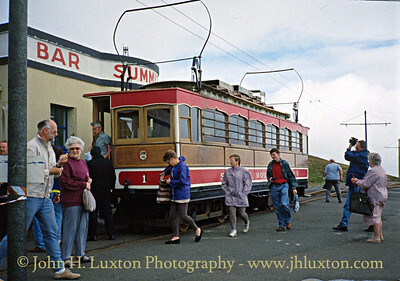 The depot which houses the Air Ministry railcar used to access the summit when trams are not running. 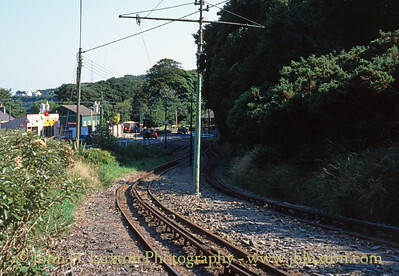 View down the hill from near Laxey depot looking towards Laxey Station. 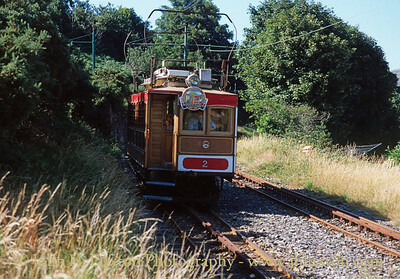 Car 2 approaches Laxey crossing. 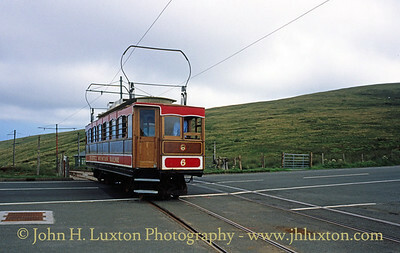 Car 6 outside Snaefell Summit Hotel. 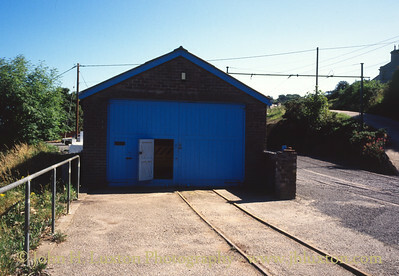 Note the single bladed point. 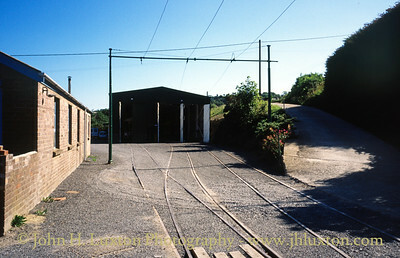 Car 6 crosses the Mountain Road approaching Bungalow Station. 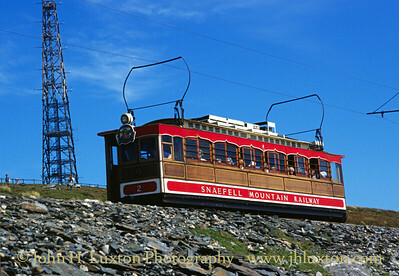 Snaefell Mountain Railway Power Station site near The Bungalow. 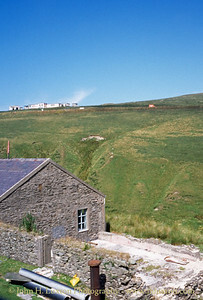 the now defunct Murray's Motor Cycle Museum can be seen on the skyline above the Mountain Road. 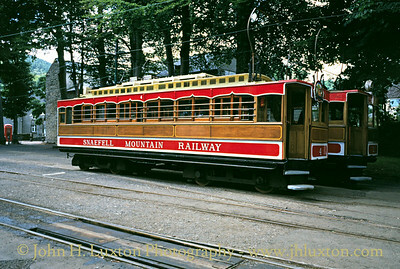 Car 4 at Laxey Station.